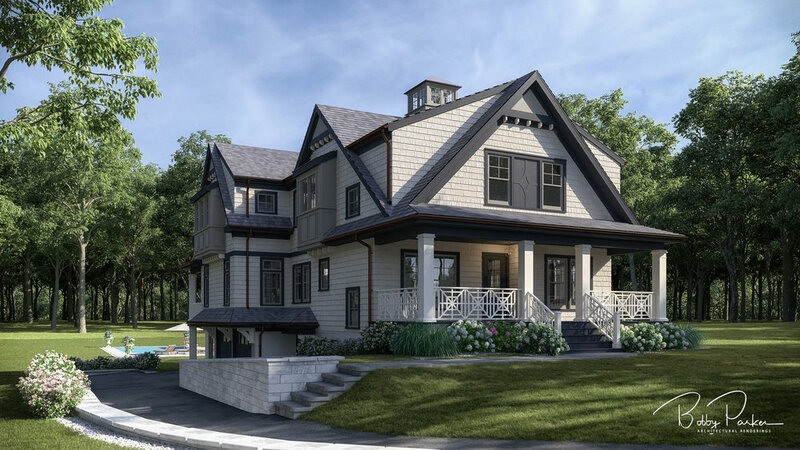 The Fairmount house rendering was a fun project. I like the design, so it was a pleasure to work on. Often, I am asked to illustrate a structure that I am just not into, so it helps when I can get excited about the project and I look forward to the outcome, just as much as the owner.